Increasingly, it’s more difficult to prevent and manage Candida infections as more individuals have weaker immune system (antibiotics, corticosteroids, life-long toxic bioaccumulation and “leaky gut” play a role in this) and due to increasing resistance against antifungal drugs. While a broad selection of natural strategies are important to employ, including the use of probiotics, garlic, and specific nutraceuticals (Caprylic acid, Oil of oregano and more) and the reduction of carbohydrates, often Candida remains a life-long problem. A new, promising way to control Candida emerged, giving great hope to those who ‘tried everything’ without experiencing a breakthrough. When the effectiveness of antifungal drugs were compared in a study, EDTA emerged as a highly potent antifungal agent. Candida uses biofilms to protect itself for survival. Today we know that biofilms are involved in most (probably all) microbial, and even some viral or mixed multispecies (bacterial, viral, fungal) infections in the body. It is estimated that 80% of all (and likely 100% of chronic) infections are biofilm related as biofilm formation is the preferred bacterial life style. Biofilms consist of microorganisms encased within a self-produced matrix of exoproteins and exopolysaccharides, which strongly attach themselves to interfaces and highly resist dislodgement. The extracellular polymeric substance (EPS), also called ‘slime’, covering and cementing of biofilm colonies protects the bacteria from antibiotics, bacteriocins (produced by probiotics), antibodies, and other medicines/herbs which might kill it. EPS acts as diffusion barrier to these molecules, protecting the microbes hiding behind the EPS matrix. Biofilms can vary in thickness from a mono cell layer to 3 inch/7 cm thick layer but mostly on average are 100mm thick. Chemical analysis shows that the EPS matrix is mostly comprised of neutral and acidic sugars, e.g. glucose, mannose, galactose, rhamnose, ribose, fucose, uronic and gluconic acids, etc. The anionic properties of EPS sugars in the wall of biofilms attract the divalent cations such as Ca+2, Mg+2, and more importantly the toxic metal cations, which have been shown to cross-link with the polymer strands and provide greater binding force and structural strength in a developed biofilm. Again, it’s critical information that the binding force of toxic metals is greater than with Ca+2, Mg+2. It was also found that an increase in concentration of several cations such as Na+, Ca++, Fe+++, and other metal cations enhance the attachment of the cells to the surface the microbes try to be attached to. I did fight this thing with all I could find: Chinese medicine, natural and chemical antifungals, probiotics, meditation, acupuncture, diet, transfer factor, hormone rebalancing, etc. And I can say every little thing helped, but nothing like removing that poison from my body. It could be that I was mercury sensitive, or just too toxic, I can’ t say enough good about this. This was the key to healing for me. It unburdened my immune system so that my body could really fight the candida. It is mainly iron, and also toxic heavy metals, including mercury and lead, that fortify the biofilm’s outer layer. As the iron and toxic metal levels are lowered, the strength of the biofilm’s outer layer is weakened to the point when the immune system can have access to target the pathogenic microbes living in the biofilm communities. CaEDTA (Ca-disodium-EDTA or ethylenediaminetetraacetic acid), chelation, the key chelating ingredient is a ring-like compound with 4 negative charges that hold polyvalent metal ions in a highly stable, water-soluble form. The strength with which each metal is held varies, in order of decreasing strength as follows: iron+++, mercury++, copper++, aluminum++, nickel++, lead++, cobalt++, iron++, etc. 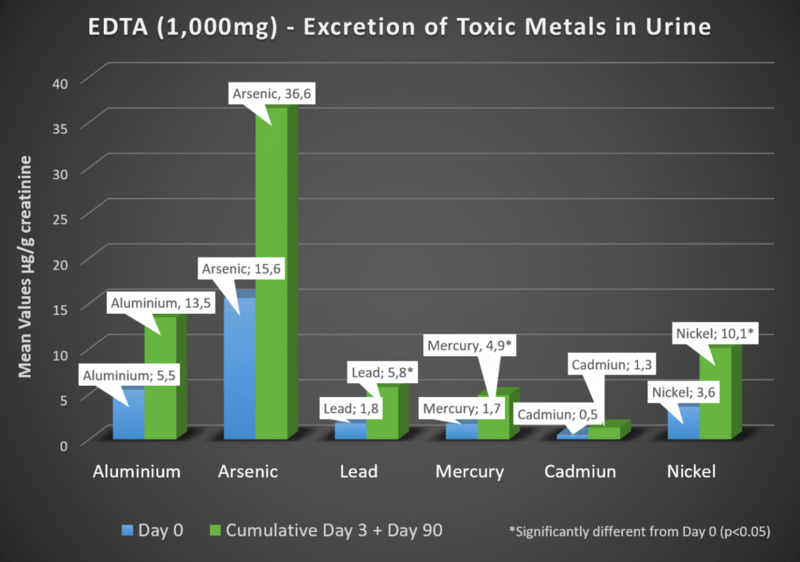 In spite of the sometimes misleading reports, EDTA effectively helps with the release of toxic metals, including mercury. 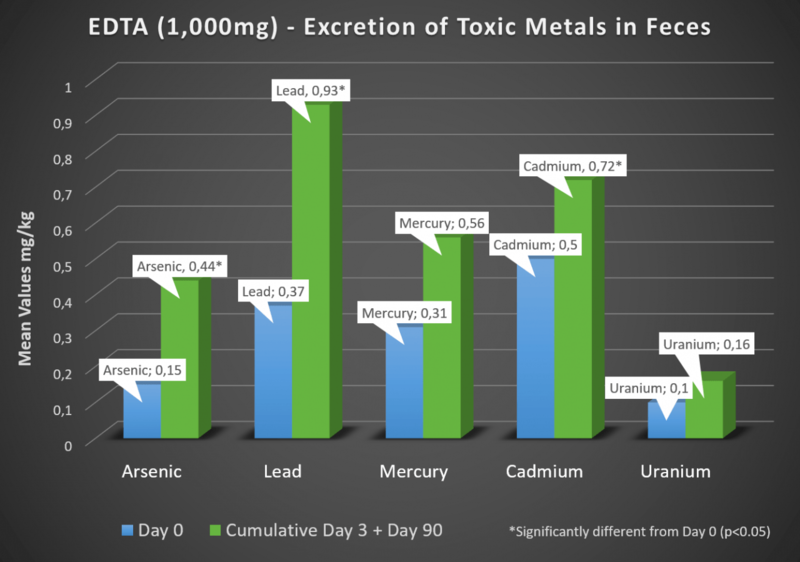 A pilot study with Detoxamin® (1000mg EDTA) suppositories showed the excretion of toxic metals, including mercury. Detoxamin® is no longer available, however, EDTA1.0 (1000mg) is similar to the Detoxamin® used in the study and also includes a free bowel-cleanse product, StopReabsorb that cuts down on the reabsorption of toxins from the colon. The bioaccumulation of mercury can weaken the immune system that allows the Candida to grow. Note, some people notice no change after removing their amalgams. There is no guarantee that it will help. Also remember that there is residual mercury in the soft tissue and possibly some stuck inside the intestines. Sometimes progress is not seen until this other mercury is also removed. Myeloperoxidase in the neutrocytes is blocked by mercury and lead. Neutrophil (also known as neutrocytes) are the most abundant type of granulocytes and the most abundant (40% to 75%) type of white blood cells. They form an essential part of the innate immune system. And myeloperoxidase, as a catalyst, is needed for the production of hypochlorous acid. Hypochlorous acid is generated in activated neutrophils by myeloperoxidase-mediated peroxidation of chloride ions, and contributes to the destruction of bacteria and Candida by the ‘injection’ of the tiny goblets of hypochlorous acid into the body of the pathogens. If the level of mercury and lead is high, this pathogen killing function of the immune system is crippled. No matter how much other anti-candida products or steps are taken, the availability of hypochlorous acid seems to be the most fundamental requirement for a strong immune system and for the success in controlling Candida and other bacteria. Chelation can turn around this situation like nothing else. The removal of amalgam fillings can be important. However, it is not the mercury inside the amalgam that weakens the immune system but the one already spread out in the soft tissues of the body. Real relief can be achieved by EDTA chelation even if a person still have amalgam fillings. Why didn’t my doctor tell me that I had a problem with yeast syndrome or subclinical level or toxic metals? Most doctors are convinced that chronic Candida doesn’t exist. Conventional infectious disease experts view with skepticism the idea that chronic low-grade Candida infection (primarily in the urogenital tract and in the gut) can cause various, seemingly unrelated symptoms in the body, often called yeast syndrome. Toxic metals raise the flag only when there are clinical symptoms. Subclinical level of mercury or lead are routinely ignored and the weaker immune system is accepted by most doctors. Most doctors are at odds with some innovative healthcare practitioners as to the treatment strategy of Candida. The yeast syndrome and syndromes of toxic metals, especially mercury, are surprisingly similar. The yeast syndrome is a constellation of many different symptoms, all of which combine to give an overall picture of ill health. Some of the possible manifestations are constipation, diarrhea, abdominal bloating, food intolerances, hypoglycemia, fatigue, mood swings, irritability, dizziness, headaches/ migraines, and difficulty concentrating, vaginal yeast infections, bladder pain, prostatitis, earaches, sinus infections, regular colds, asthma, carpal tunnel, mitral valve prolapse depression, rashes, psoriasis, and sensitivity to smells. Toxic metals, especially mercury, makes one very susceptible to dysbiosis in the gut. When the body is detoxified of mercury, the intestinal flora has a much better chance of returning to normal. The list of possible toxic metal, including mercury, associated health challenges are similar to that of the yeast syndrome. They are fatigue, depression, neurological problems, allergies, digestive disorders, immune suppression, gum disease, reproductive disorders, birth defects, kidney disease, heart problems, high blood pressure, autism, breathing disorders, skin disease, and leukemia. Healthy, clean diet often results in weight loss. As the stored toxins from fatty tissue are released into the blood, a temporary worsening of symptoms often noted during an interim between toxins releasing from fatty tissues and the body working to remove them from the blood. Candida toxins can bottleneck the liver detox pathways. Over the last fifteen years it was observed that EDTA1.0 suppositories can greatly help individuals struggling with yeast syndrome. Take a bottle of Prevent. Pro first as a preparatory step. Prevent.Pro has broad spectrum antifungal, antibiotic, antiviral and anti-parasitic characteristics. When you start taking the second bottle of Prevent.Pro, start taking an EDTA1.0 rectal suppository every second night (together with Prevent.Pro). If the rate of detoxification and Candida die-off is too overwhelming, slow down the process, take a lower dose of Prevent.Pro and take an EDTA1.0 only every third or fourth nights for a week or more. Than try again stepping up to the full routine if your body can handle the protocol. Nobody, not even alternative minded doctors want to talk about the link between Mercury and Candida, yet. However, we envision a time in the future when EDTA will find its proper place in the toolset of the practitioner who is passionate about relieving the suffering of those who struggle with yeast syndrome. 1. Ates M, Akdeniz BG, Sen BH. The effect of calcium chelating or binding agents on Candida albicans. Oral Surg Oral Med Oral Pathol Oral Radiol Endod. 2005 Nov;100(5):626-30. 2. “Research on microbial biofilms (PA-03-047)”. NIH, National Heart, Lung, and Blood Institute. 2002-12-20. 3. Pelletier, M., MD, CCN, FACOG, Lavalle, J., ND, RPh, CCN, Ellithorpe, R., MD*, Schmidt, M., PhD, CCN, Pelton, R., RPh, PhD, CCN, Settineri, R., MS, Effects of CaNa2 EDTA (Detoxamin®) Suppositories on Excretion of Heavy Metals, Living Longer Institute, Cincinnati, Ohio, 2005. Detoxamin® is a registered trademark of World Health Products LLC. This entry was posted in Studies and tagged antifungal drugs, Candida infections, Caprylic acid, immune system, toxic metals.